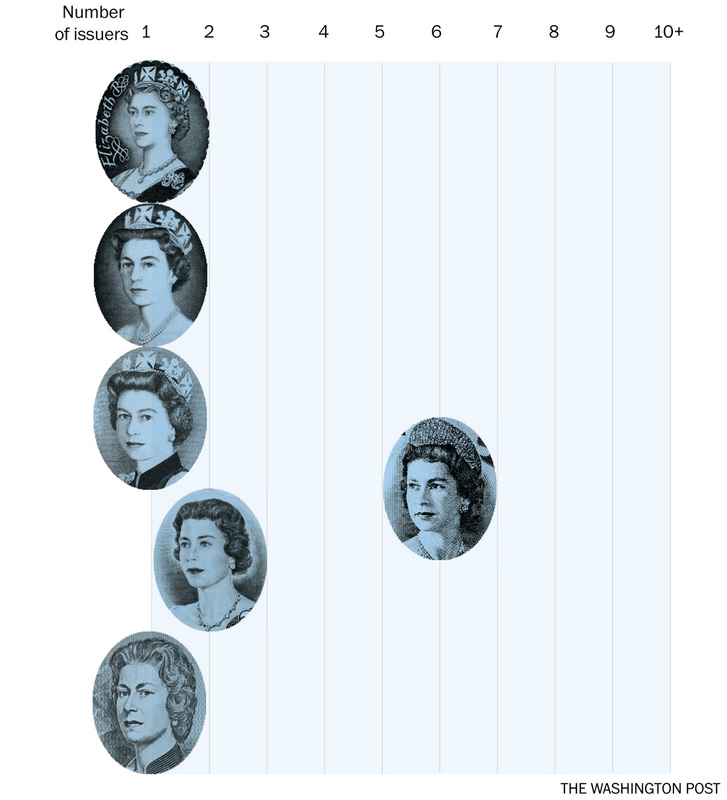 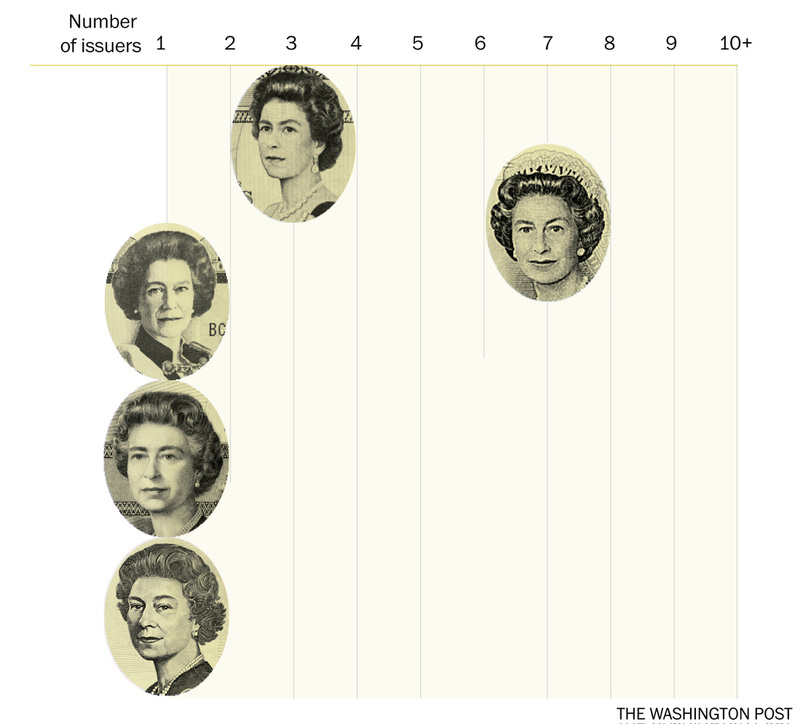 September, 2015, Queen Elizabeth II became the longest reign monarch in British history. 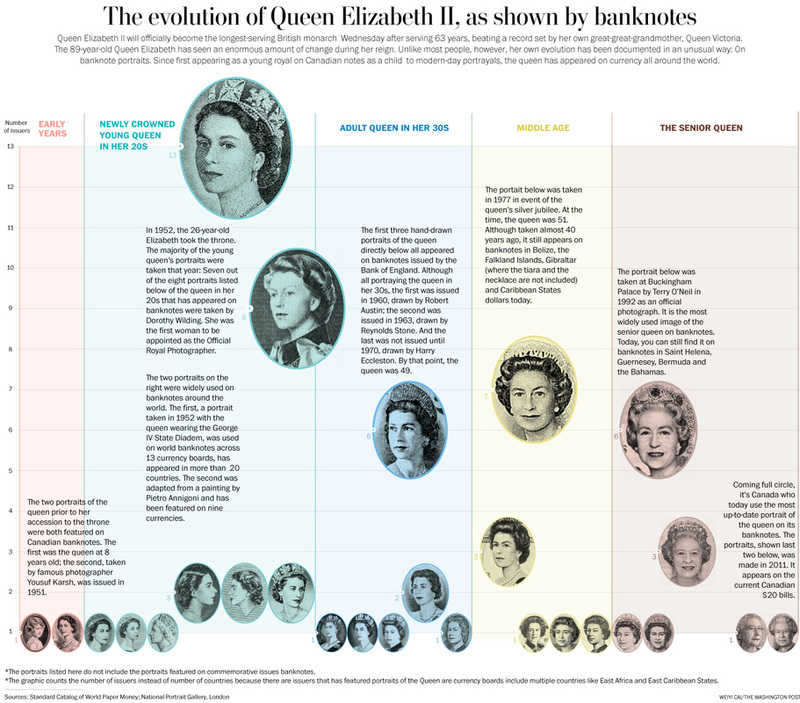 I researched and designed the two-part graphics about banknotes featuring her portraits. 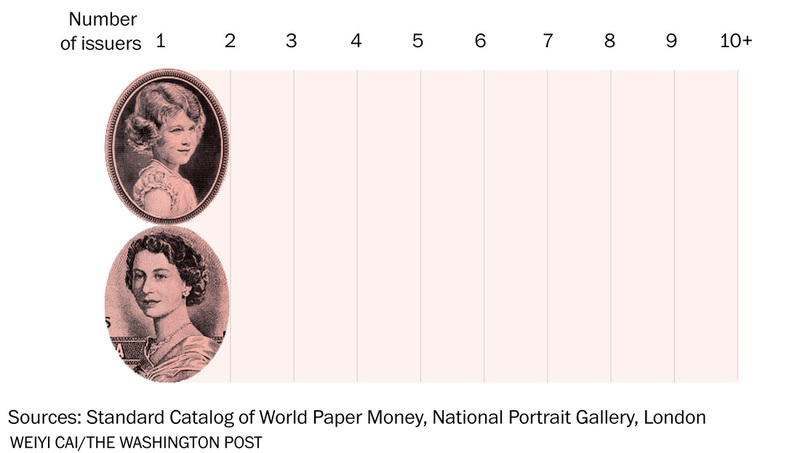 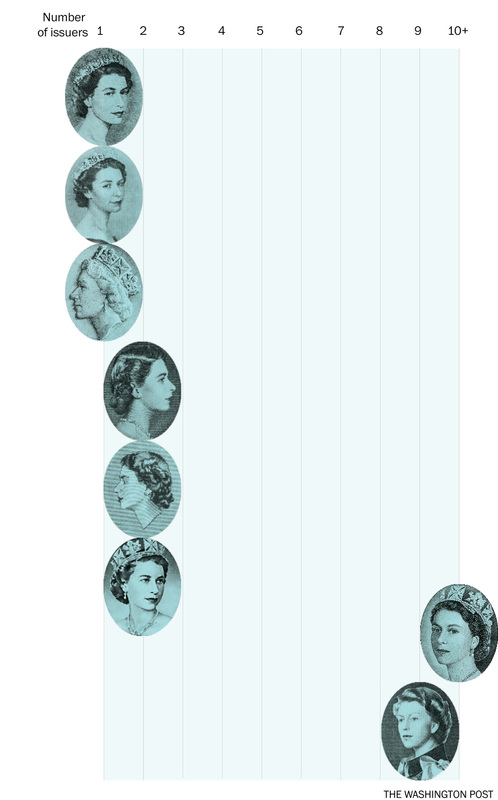 This graphic shows her aging through banknotes.